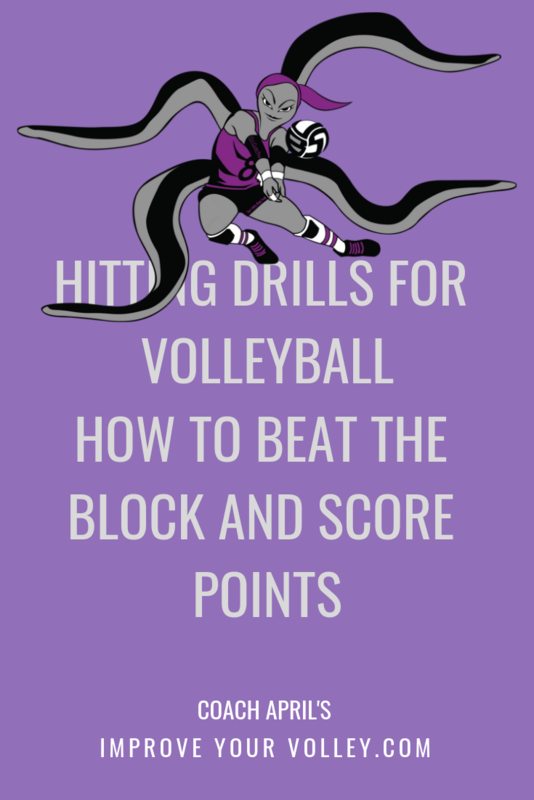 The Pepper Drill is one of the most basic volleyball drills all players do before each match. Concentrate on improving your ball control skills during pepper warm-up. What you do in pre-game warm-up prepares you for game performance. Practice in pepper how you want to play in the game. 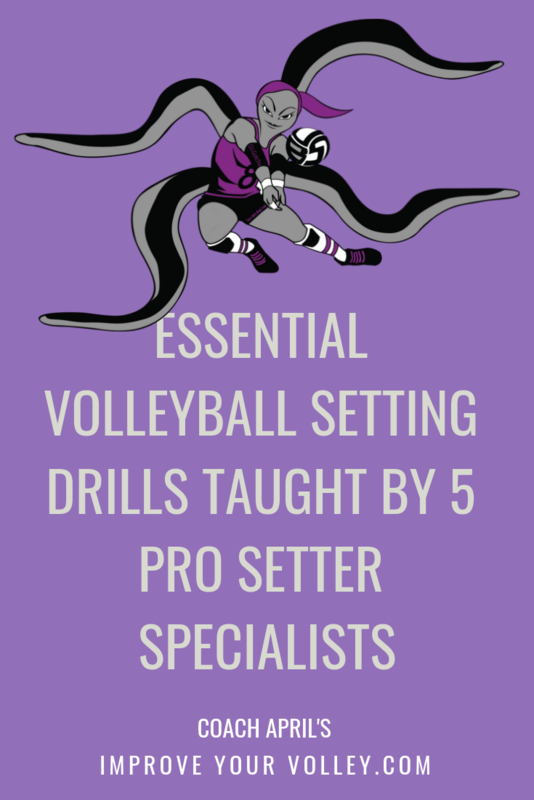 Work on proper setting and serve receive skill, form, and technique when performing pepper during pre-game warm-up. Every opportunity to play pepper is another opportunity to improve your basic setting and serve receive skills. Take advantage of it. Use pepper warmup to practice perfect free ball passing form. 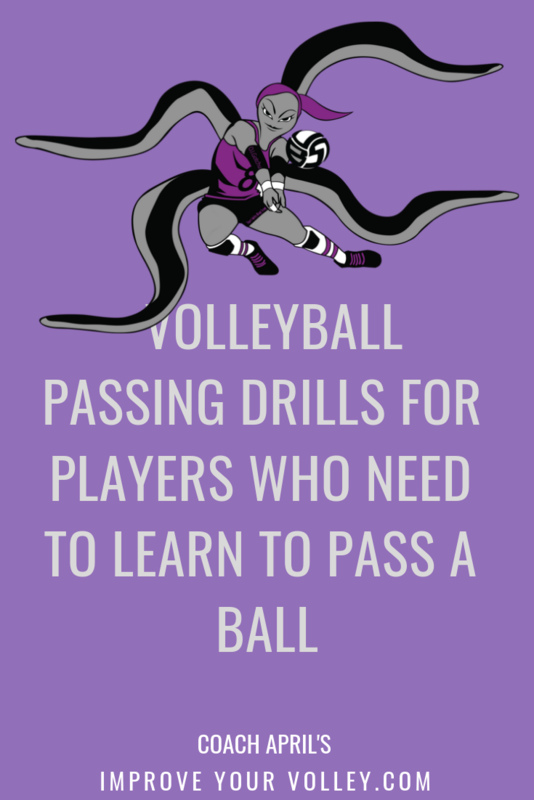 Focus on keeping your partner from moving more than one step in any direction to pass the ball back to you. Practice keeping your elbow high during your pepper hitting arm swing. Every opportunity to practice your arm swing makes you a hitter that reaches high for every set. Imagine clearing the net height even when you pepper. This helps you contact the ball at its highest height. Raise your elbow, keeping it above the level of your ear while you control the ball speed to your partner. Hitting the ball low in pepper means there’s a good chance you’ll hit the ball low in hitting warm-ups and continue hitting the ball low in a game. Set goals with your pepper partner. 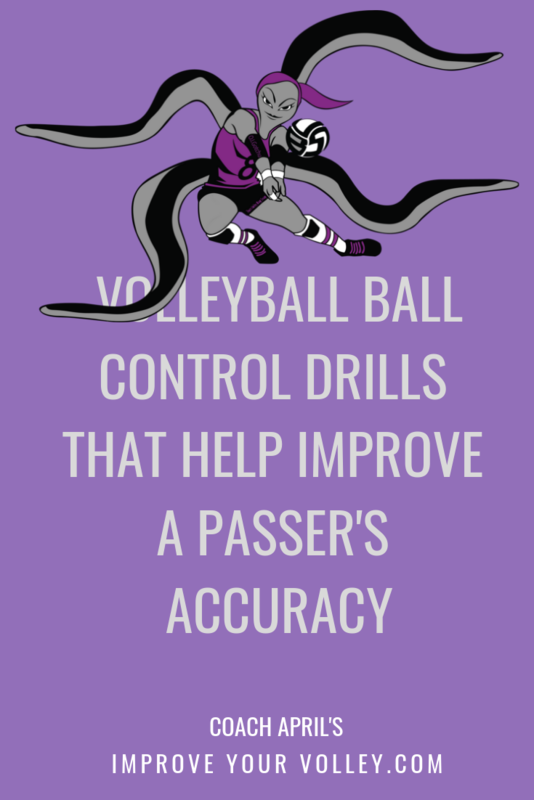 Identify how many pass-set-hit combinations you both can do repeatedly while controlling the ball. Then work with your partner to keep breaking your own records. Challenge each other to improve. You improve when pushing yourselves beyond your comfort zone, learning to do things that initially might make you uncomfortable. Be down in your defensive position, ready to move in any direction just before your partner hits the ball. Your goal is to be in this low stance before the ball gets to you, not as it is getting to you. 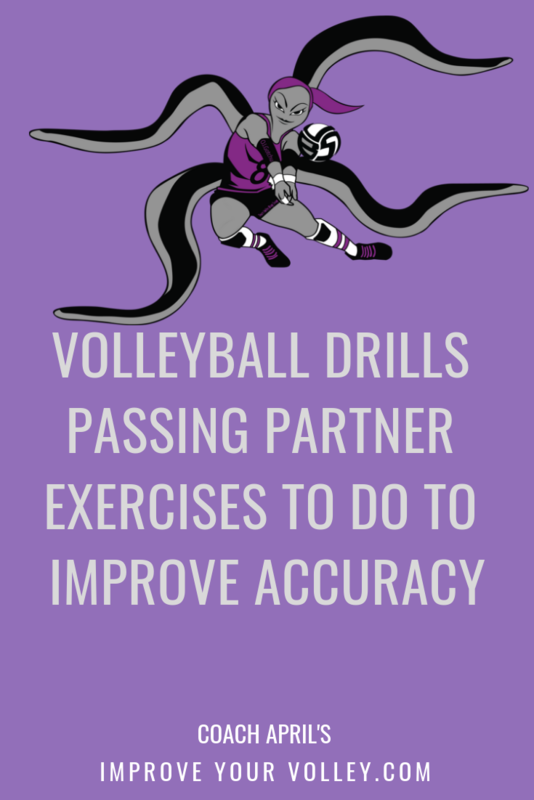 Then dig a controlled high ball back to your partner without making her move more than one step in any direction. 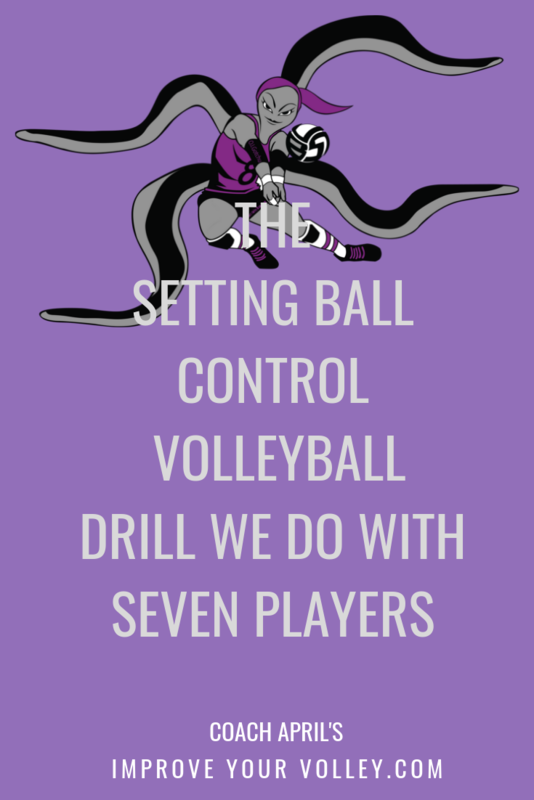 This is what helps you improve your control of the ball. Don’t allow yourself to just dig anywhere. Get in the habit of putting the ball on your partner’s head. Set higher standards for yourself and don’t make them move! 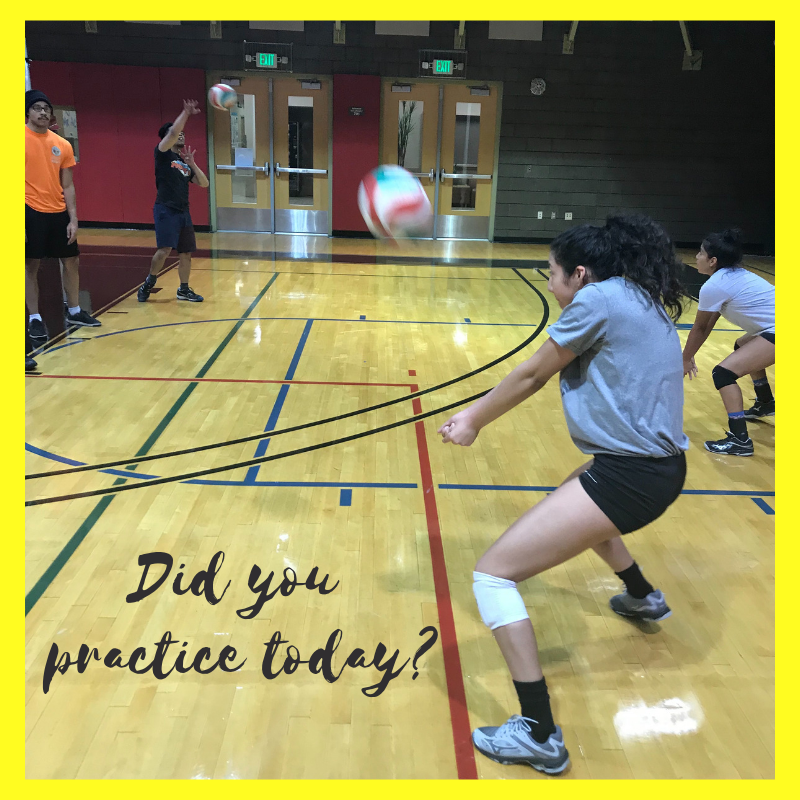 This motivates you and your partner to increase the court area you both can defensively cover as your ball control improves. 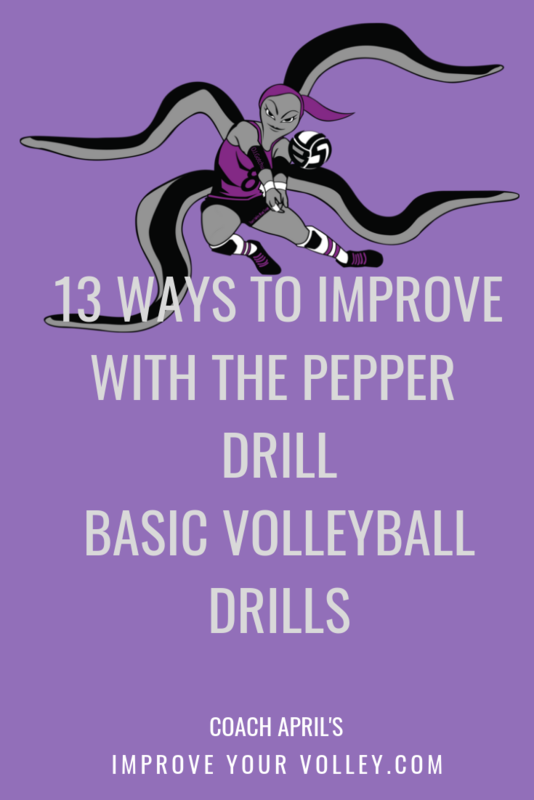 Use the pepper drill to increase your focus and concentrate during warm-ups. Ignore pre-existing pre-game distractions like a small court, warming up in a small space, balls flying around the court in your pepper zone, or team benches. Narrow your focus so the only thing that you are focused on is the ball. This will help you increase your concentration and the focus you need to have during tense game moments. Commit to hitting harder at your partner as your ball control skills improve during pepper warm-up. 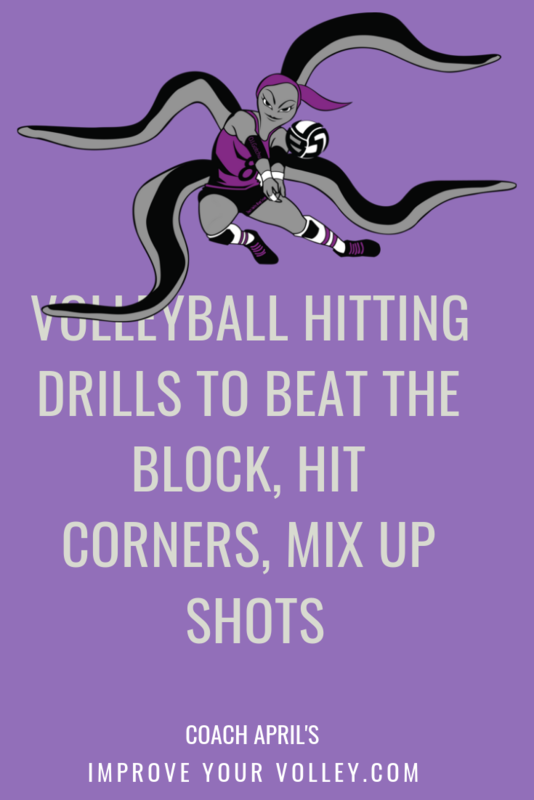 By hitting harder, you and your partner increase your reactions and ability to dig hard spikes. It also reduces your fear of digging hard hit balls. Pepper with a guy with good ball control skills. Playing with a male or someone better or stronger than you makes you a better, stronger, faster player.